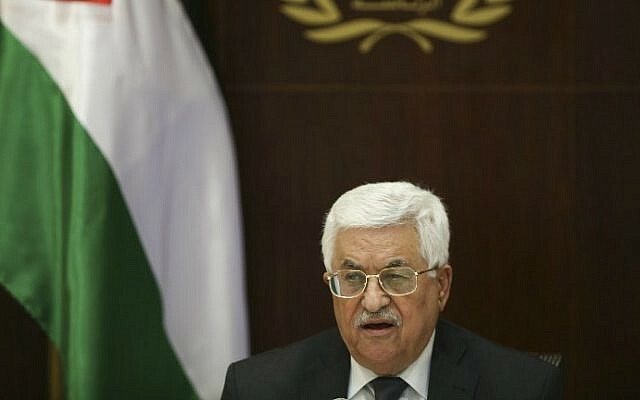 Palestinian Authority President Mahmoud Abbas this week praised as a “martyr” a young Palestinian woman who attempted to kill an IDF soldier with her car. “We see in her a martyr who watered the pure earth of Palestine with her blood,” he wrote in a letter to the parents of Amani Husni Sabatin, 34, from the Palestinian village of Husan, near Bethlehem, who was killed by IDF troops as she ran over a soldier in the Gush Etzion area on Friday. The soldier was lightly injured in the attack, which took place at the Gush Etzion Junction south of Jerusalem. 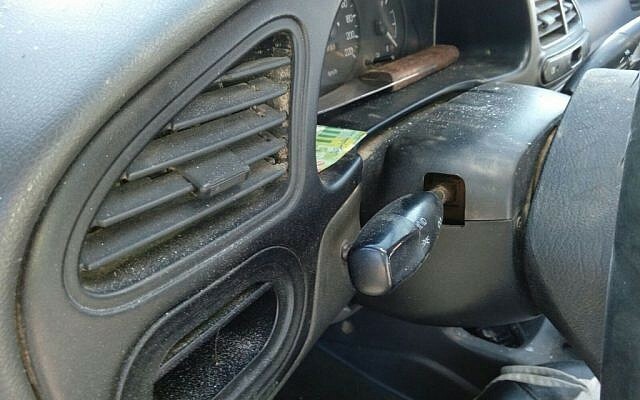 A knife was found in the car. 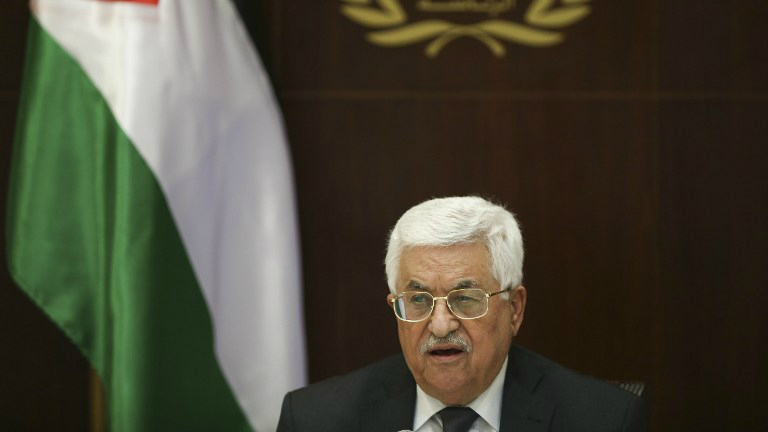 Abbas’s letter marks the second time the Palestinian leader sent condolences to the parents of assailants killed during their attack since the start of the latest wave of violence in October, Channel 10 reported late Wednesday. The letter was sent to the family from the Palestinian embassy in Jordan, where the ambassador is reportedly related to the attacker. Abbas’s letter came as US Vice President Joe Biden was visiting Israel and the West Bank for meetings with Israeli as well as Palestinian leaders. On Wednesday, just one day after a Palestinian terrorist stabbed to death American graduate student Taylor Force and wounded nine others, including Force’s wife, in Jaffa, Biden criticized the Palestinian leadership’s “failure to condemn” terror attacks. “Let me say in no uncertain terms: The United States of America condemns these acts and condemns the failure to condemn these acts. This cannot become an accepted modus operandi,” Biden said during a press conference alongside Prime Minister Benjamin Netanyahu at the Prime Minister’s Office in Jerusalem. Twenty-nine Israelis and four foreign nationals have been killed in a wave of Palestinian terrorism and violence since October. Some 180 Palestinians have also been killed, some two-thirds of them while attacking Israelis, and the rest during clashes with troops, according to the Israeli army. The Gush Etzion Junction targeted by Sabatin has seen a spate of attacks. In November 2015, American teen Ezra Schwartz was killed in a terror attack at the site, along with Israeli teacher Yaakov Don and Hebron resident Shaadi Arfa. That month, Hadar Buchris, 21, was also stabbed to death at the site, which has been bolstered by a massive army presence in recent months. Last week, Eliav Gelman, 30, was killed at the junction by errant IDF gunfire during a Palestinian stabbing attack.